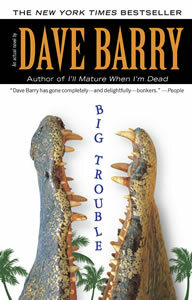 Dave Barry makes his fiction debut with a ferociously funny novel of love and mayhem in south Florida. 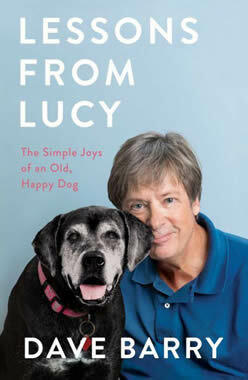 In his career, Dave Barry has done just about everything—written bestselling nonfiction, won a Pulitzer Prize, seen his life turned into a television series. And now, at last, he has joined the long list of literary figures from Jane Austen to Tolstoy who have made the transition from humor columnist to novelist...and done it with a style and inventiveness that establishes that, yes, he is very good at that, too. In the city of Coconut Grove, Florida, these things happen: A struggling adman named Eliot Arnold drives home from a meeting with the Client From Hell. His teenage son, Matt, fills a Squirtmaster 9000 for his turn at a high school game called Killer. Matt's intended victim, Jenny Herk, sits down in front of the TV with her mom for what she hopes will be a peaceful evening for once. Jenny's alcoholic and secretly embezzling stepfather, Arthur, emerges from the maid's room, angry at being rebuffed. Henry and Leonard, two hit men from New Jersey, pull up to the Herks' house for a real game of Killer, Arthur's embezzlement apparently not having been quite so secret to his employers after all. And a homeless man named Puggy settles down for the night in a treehouse just inside the Herks' yard.